ISD Global’s foray into publishing is a compulsion of market dynamics. The focus remains on addressing needs that are hitherto unaddressed. 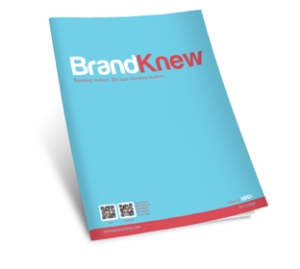 Our first venture in this area is BrandKnew, a knewsmagloid ( our own coinage suggesting a product offering that integrates the essence of a newspaper, magazine & tabloid), that provides a holistic overview of the world of brands and branding and ensures actionable evidence to the learned community of marketing, advertising, creative, innovation, design and media professionals. BrandKnew is published in four avataars – print, digital(both as monthly editions), web( where fresh content is uploaded every day) and a mobile app for both iOS and Android. You can access the web version at www.brandknewmag.com and the digital edition at www.brandknew.groupisd.com. BrandKnew is extending it’s footprint into linear and lateral territories including a Speaker Series concept called Speak Performance, the BrandKnew Awards for UAE/UK & India and potentially a School of Branding that will provide the most contemporary and benchmarked branding practices to the community of brand owners and brand marketers.